There is often confusion surrounding the terminology of earthquakes. Large earthquakes are usually followed by hundreds and even thousands of smaller earthquakes, called aftershocks. 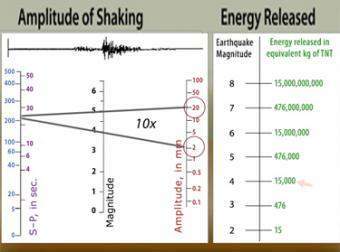 In some earthquake sequences, a smaller earthquake called a “foreshock”, precedes the mainshock. Although seismologists have carefully analyzed foreshock/mainshock pairs of earthquakes, and earthquake triggering in general, there are no special characteristics of a foreshock that let us know it is a foreshock until the mainshock occurs. 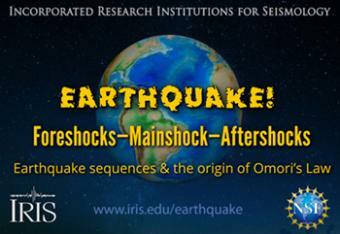 Rate of aftershocks was first studied in detail by Fusakichi Omori, Chairman of Seismology at Imperial University of Tokyo; one of the most important figures in the history of seismology. Earthquake intensity (what is felt during an earthquake at any given location) is often mistaken for earthquake magnitude (the instrumentally measured size of that earthquake). 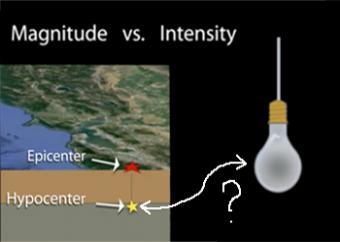 This animation describes the main factors that contribute to differing intensities using examples of earthquakes. Produced in collaboration with the U.S. Geological Survey. 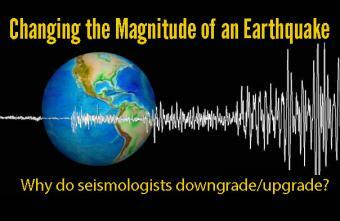 Why do seismologists change the magnitude of an earthquake? Obtaining an accurate preliminary magnitude can be difficult due not only to the complex processes that occur deep within the Earth, but because there are over a dozen techniques of for calculating the magnitude of an earthquake. 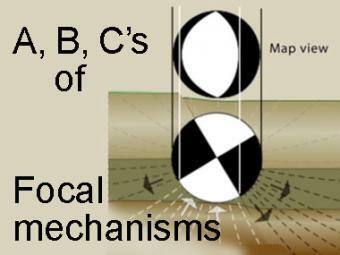 The focal mechanism of an earthquake is represented by a “beachball” diagram. These are released after an earthquake to illustrate the type of faulting produced the earthquake. This difficult concept is carefully explained using strike-slip, normal, and thrust faults. GIFS for select segments included as optional download.